The Maud Powell Society has published most of the music listed below in the collection titled Maud Powell Favorites. Composed and arranged by Maud Powell after Herman Bellstedt, Jr. Recorded by Maud Powell on 25 May 1910, Victor Red Seal No. 64143. Transcribed from the recording by Luanne Homzy and Rachel Barton Pine. (1834-1903) Silver Threads Among the Gold (Song) (New York: Charles W. Harris, 1873). As recorded by Maud Powell on 24 June 1914, Victor Red Seal No. 64459, transcribed by Powell for recording purposes only, never printed, no manuscript extant. Transcribed from the recording by Luanne Homzy and Rachel Barton Pine. Humoreske , Op. 101, No. 7. Arranged by Fritz Kreisler (N. Simrock, Berlin, 1906). Revised and adapted by Maud Powell. Recorded by Maud Powell on 5 June 1916, Victor Red Seal No. 74494. Transcribed from the recording by Rachel Barton Pine and Joseph Scheer. Musette from the Orchestral Suite King Christian II (New York: Breitkopf & Härtel, 1916). Valse Triste from Op. 44 (music for Arvid Järnfelt's Drama Kuolema ). Arranged by Friedrich Hermann (Breitkopf & Hartel, Lepzig, 1907). Revised and adapted by Maud Powell. Recorded by Maud Powell on 24 June 1914, Victor Red Seal No. 74402. Transcribed from the recording by Rachel Barton Pine and Joseph Scheer. 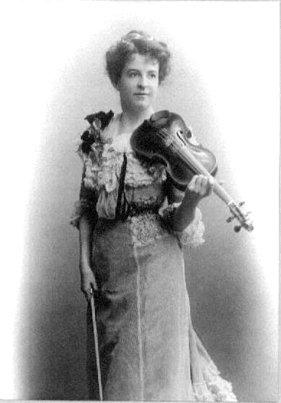 Molly on the Shore violin part as revised by Maud Powell with Grainger's sanction. Recorded by Maud Powell on 5 June 1916, Victor Red Seal No. 64611. Transcribed and edited from the recording by Rachel Barton Pine and Joseph Scheer. Sonata in F Minor for Violin and Piano, Op. 6, No. 7; harmonized by L. A. Zellner; revised and edited by Maud Powell, (New York: G. Schirmer, 1919).